The BP report also adds to the growing consensus that America will continue emerging as a dominant player in the global liquefied natural gas (LNG) market going forward. Of course, this is all thanks to shale resources being unlocked by hydraulic fracturing (fracking). The Energy Information Administration’s (EIA) most recent Drilling Productivity Report projects that U.S. shale gas will reach just under 52 billion cubic feet (Bcf) per day in July, an increase of 684 million cubic feet (Mcf) per day from June. This continued growth in shale production is what led to BP’s analysists saying that by 2035 the U.S. will produce a whopping 70 percent of the world’s natural gas supply and account for 25 percent of global output. Total U.S. natural gas production will increase by 55 percent during that time period, according to BP. In fact, the report finds that by 2020, natural gas will not only be America’s primary fuel source for power generation, but emerge as the country’s top fuel, period. BP projects that by 2023 natural gas will account for 39 percent of U.S. energy consumption, outpacing all other fuels. This switch to natural gas is being driven not only by an abundance of the resource, but also from the environmental benefits such as lower emissions that switching entails. 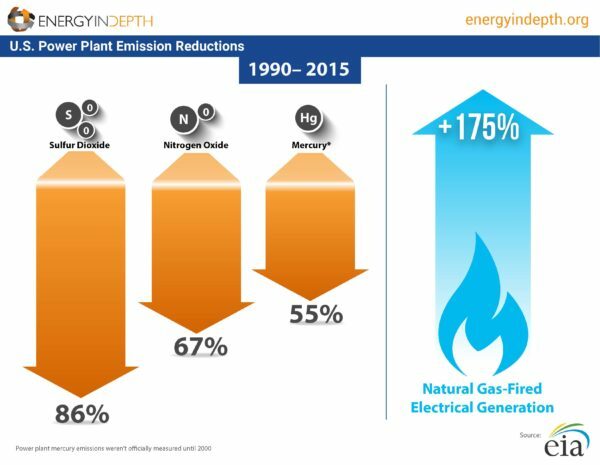 EIA data show that U.S. power plant criteria pollutant emissions decreased significantly from 1990 to 2015, at the same time that more natural gas-fired plants came online. It is for the reasons noted above that EID has highlighted the under-reported fact that increased natural gas use yields significant health benefits. 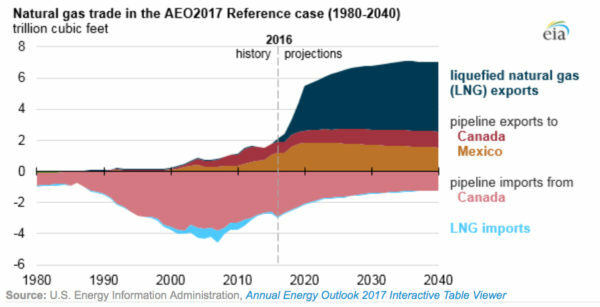 This abundance of natural gas from shale has also led to a phenomenon no one saw coming mere decades ago: the U.S. is poised to become a major player in world LNG markets, as the following EIA projections illustrate. 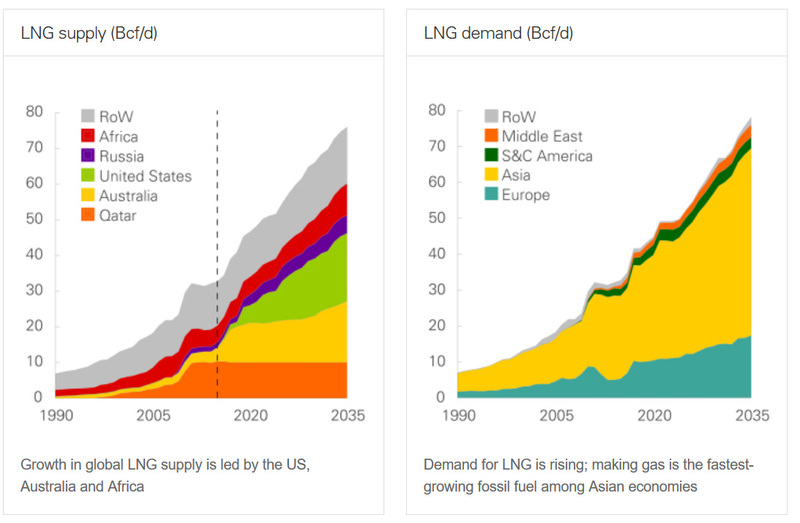 The report projects that the U.S. will lead this growth in LNG with an increase of 19 Bcf/d by 2035, meeting the increased natural gas demands from Asia and Europe. BP’s latest Energy Outlook shows great things on the horizon for the United States – all of which can be attributed to an abundant, affordable supply of shale natural gas.